To be continued... Read Part One here. I guess I thought it was something that would happen overnight? As in the first time we tried days later I would feel sick, be hovered over the toilet with morning sickness and ta-da, we're preggo! Jon and I would soon discover that was the farthest from our reality. Like I mentioned in Part One, I felt I deserved to be a mother. And God was going to spend the next year teaching me otherwise. I would start each month with fresh mindset telling myself I wouldn't get disappointed, but I would instead trust in God and His plan. But each month that my period came I relapsed into a dark world of anger and frustration. I would feel inadequate about myself as a woman and think there was something wrong with me. We were doing everything right according to the books and boy did I do my research. Not being in control of my own destiny was making me insane. I was angry with The Lord for not giving me my heart's deepest desire. I knew I was going to make the greatest mom. No baby would ever be loved more than my child. I was going to teach my child to love Christ and treat others with respect and kindness. So why was God with holding His greatest gift from me? It was on a drive home one evening in April (officially a year of trying), Jon was driving and I was sitting silently looking out the passenger window and tears started to stream down my face. I was doing my best to cry silently, but Jon could see the tension in my body. He reached over and asked what was wrong and I blew up. "WHY Jon? Why isn't God giving us what we want? Why is God making us suffer? What did we do wrong? Why can't I have what I want? Why can't we have a baby?" Ugly isn't it? The words I had been feeling and longing to say came out of my mouth like vomit. There was no hiding my feelings any longer. And I'm so glad they did finally come out on that car ride home, even if it was explosive, because hearing myself say them gave me a whole new perspective. All of a sudden I was convicted. Ashamed. Defeated. Officially at rock bottom. I couldn't believe all of those selfish words came out of my mouth. I knew better. This couldn't be where my relationship with The Lord was? Unfortunately, it was. I was at my lowest. As soon as I got home I prayed and asked God for forgiveness. I asked him to heal my bitter and broken heart. To give me peace in my life. To give me strength to get through each day from that point on. To build my trust in Him, trusting that His plan was far better than any plan of mine. But most importantly I prayed that His will be done and my selfless desires would be diminished. From that point on I really did have a certain peace about the whole situation. I trusted God. It took hitting rock bottom and being extremely angry with him to finally realize I couldn't get through this without him. I won't say that I still didn't struggle to fight my own selfish desires in the months to follow, but I no longer had a grudge against God and felt I deserved to be a mom. Jon and I continued to try the following months and in July on a cruise ship to Alaska I started to feel nauseated and tired, which we accumulated to be because of the traveling and being on the seas. Only days later on July 15th would we return home to realize I was 12 days late. 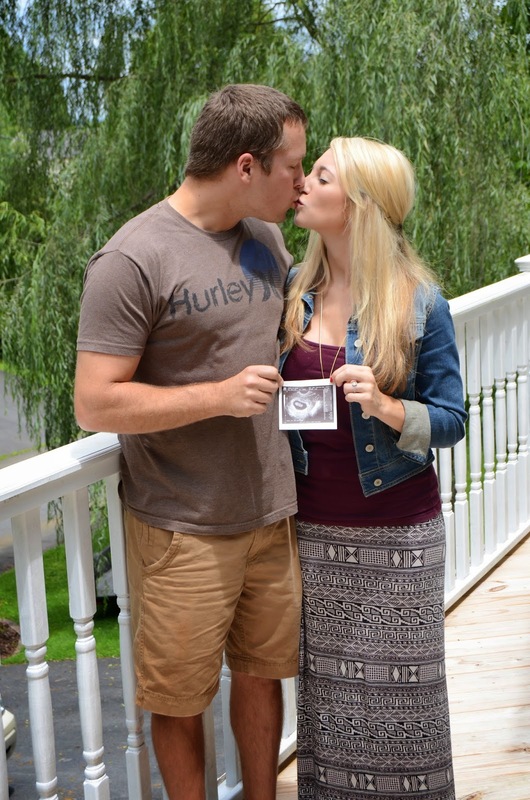 Three pregnancy tests later and one doctors visit and we were officially pregnant!!! Tears were shed, emotions ran high and my head has been in the clouds ever since! I can truly say I've not taken a moment of this pregnancy for granted because God has finally completed my heart. I honestly don't know if I would have cherished this pregnancy so much if I hadn't gone through such a tormenting struggle and I thank God for that every day. Tears fill my eyes as I type this because my heart is so full with joy it's too much to handle. 22 comments on "Real Talk || Struggling With Getting Pregnant || Part Two"
awww I love this :) I am so happy for you & Jon!! Yall are going to be the best parents!! I can't wait to see you & that bump SOOOOON! Love that last line "God has a beautiful plan for each and every one of us" what a perfect reminder of His promises for us. 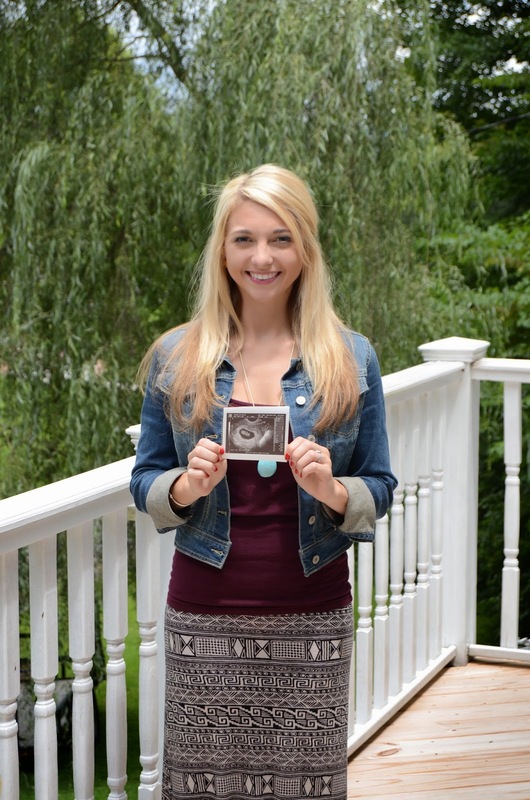 You're going to be a wonderful mommy! I can't put into words just how much this post touched my heart... Evident from the 15 tissues laying on my desk. You are brave, strong, and inspiration to all of us. Your baby is a precious miracle from God and I feel privileged to be able to see him one day soon! Thank you for sharing your heart with us. It's was truly beautiful. This is so beautifully written. I'm so happy that you finally were given this beautiful gift, can't wait for you and hubby to finally meet baby Maddox!! The will of God will not lead you, where the grace of God will not protect you! It definitely feels like God lets us hit rock bottom sometimes to prove that we need Him above all else. Praising God today for your wonderful heart, story, and little Maddox! Have a great weekend darling! I totally understand what you went through. All I ever wanted was to be a mom and it took my husband and I over a year and one miscarriage before I got pregnant with my little boy. It's so hard when we have righteous desires and then have a hard time accomplishing them. But, as always, God knows what's best for us and he gives us struggles and trials to better us. I definitely cherished my pregnancy more after having a miscarriage. When it came time to actually have my son I didn't care how it happened (I ended up having an emergency c-section after 29 hours of labor) I just knew that it was a blessing to have this baby. Thanks for sharing your struggles! I'm sure your experience will help someone else who is struggling with the same thing! I love how open you are being about this, seriously. You don't see a lot of REAL talk on blogs anymore and I just appreciate you honestly talking about an issue that SO many women have but NO ONE talks about. You inspire me girl. I can so relate --- it took us a year to get pregnant with Abe -- exactly, ha. I went off birth control the last week of July in 2012 and I conceived the last week of July in 2013. But anyway, I feel you and I'm so happy for you guys!!! I'm so sorry to hear you struggled, but am so glad you were able to find peace in it as well. It took us almost three years to get pregnant with our second, so I completely understand how difficult each month is and had the same thoughts. Some how there seems to be a reason for it all, and I hope you are stronger (esp as a couple) now for it. Good luck with the rest of your pregnancy and can't wait to see pictures of the little one soon! I love the way you wrote this and how you share your heart! I can't imagine being in your place–we were so lucky both times and got pregnant right away. It might be silly, but often times I feel guilty for that because I have so many friends who have struggled for years trying to get pregnant and who have had miscarriage after miscarriage and it just breaks my heart. I'm so grateful and appreciative to you and other bloggers who take the time to share genuinely what the struggle is like–it helps me understand what my friends are going through and how to be supportive and loving. My heart is SO happy for you! The day you announced your pregnancy on this blog I literally jumped for joy because I knew how badly you wanted this and how long you had been trying. This is so beautiful and I love your faith in this! Thank you for sharing such a deep part of your heart with us readers. What a beautiful story! It only took us four months of trying but I still had a hard time trusting God during the waiting season. I had to consistently remind myself that He is good and has our best interests at heart. I'm so glad He gave you your long desired little one! I was so excited for part two and it didn't disappoint. I can't imagine how frustrated you must have been but am so happy that it has turned out well. Sounds like the pair of you will make wonderful parents! This was such a touching and moving post - again, your bravery to share this with us is so inspiring. I'm tearing up over here! You are a strong, resilient woman, and I can't wait to see you become a mommy! This is beautiful! Thank you for sharing your story! I had revise tuba ligation 2008 have to 4 IVF doctors nothing Im 41 my husband is 46 has no children doctor say im going threw pre-menopause i was devastated that i might not be able to have the family with my own kinds that i wanted until one day as i was going through the internet i saw so many comments of different women and different pregnancy problems thanking the great OSAS OGBES for helping them to get pregnant within a short period and time, i then took a bold step to contact him via his email and he replied me with words that brought back hope and joy to my soul, he cast the pregnancy spell for me and ask me to make love to my husband as i normally do, i did all he ask me to do and later the next month i notice i had missed i then went for a check up and it was confirm that i was pregnant thanks to OSAS OGBES, for his pregnancy spells that works well, any woman passing through similar pregnancy problem can contact him for help this his email address: dr.osasogbesherbalhome@gmail.com or (WHATSAPP ONLY: You can also whatsapp him via +2348112252378) (CALLS ONLY: call him on +2348148824524).